I used to be rather jealous of New York, with its jam-packed schedule of a variety of dance performances. But not anymore. Last week, I went to the Dorothy Chandler Pavilion to see the Alvin Ailey American Dance Theater and was not only impressed by the choreography and virtuosity of dancing –– the trademark of this Dance Theater –– but surprised and challenged by its cutting-edge stage design and powerful storytelling conveyed through dance. Next weekend, we Angelenos will also enjoy a rare appearance by the Limón Dance Company at the Wallis Annenberg Center for the Performing Arts. And, in addition to that, Los Angeles Ballet, our own professional ballet company, will present a program of iconic works by Balanchine –– an absolute must-see for any dance aficionado. I went to see Alvin Ailey on Thursday night. The next morning, I was back on Grand Avenue at MOCA, kitty corner from the Dorothy Chandler Pavilion. 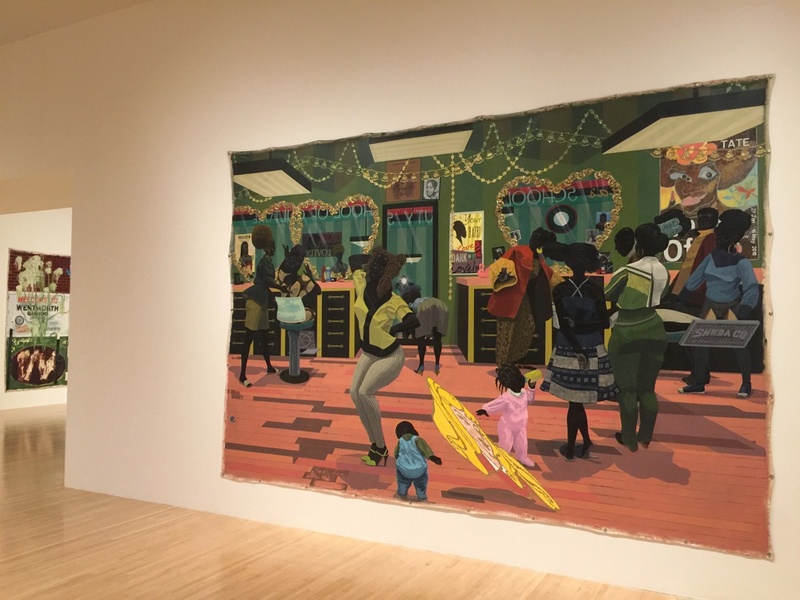 For me, it was a chance to see the travelling exhibition of major American painter Kerry James Marshall (b. 1955). 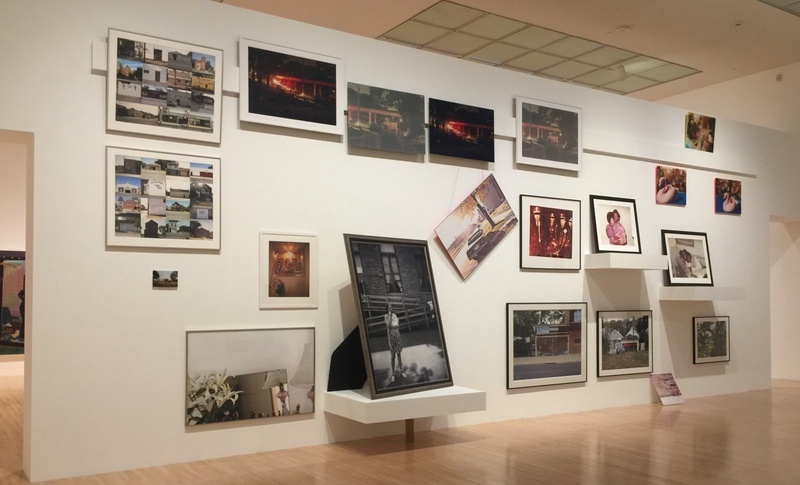 First seen in Chicago's Museum of Contemporary Art, this exhibition traveled to New York, to the Metropolitan Museum of Art, before making its final stop here at MOCA. This exhibition, with its accompanying catalogue, received glowing reviews long before it came to Los Angeles, which should come as no surprise to those of us who have had the chance to experience the diversity of subjects and theatricality in Marshall's figurative paintings. Born in Birmingham, Alabama but raised and educated here in LA, the artist has lived in Chicago since the late 80s. I remember seeing his paintings for the first time here in Los Angeles almost a quarter century ago at the Marti Koplin Gallery. 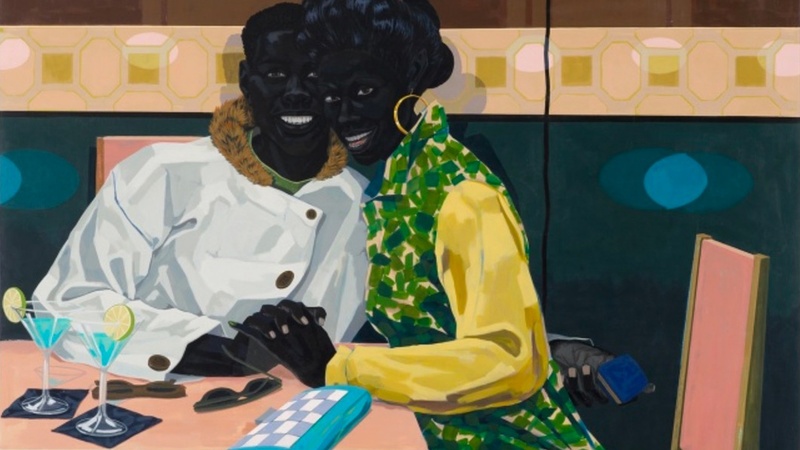 Now, all these years later, I continue to be intrigued by the complex storytelling in his paintings devoted to various aspects of everyday life in African American communities. All of the characters in Marshall's compositions are black, and the artist makes you stare deeply into their faces to read their emotions. Whether it's a multifigured composition set at an artist's studio or at a neighborhood beauty school, one slowly becomes aware that Marshall tells his stories through the prism of the Italian Renaissance and art of the Dutch Golden Age; Veronese and Rembrandt are two of his favorite artists. 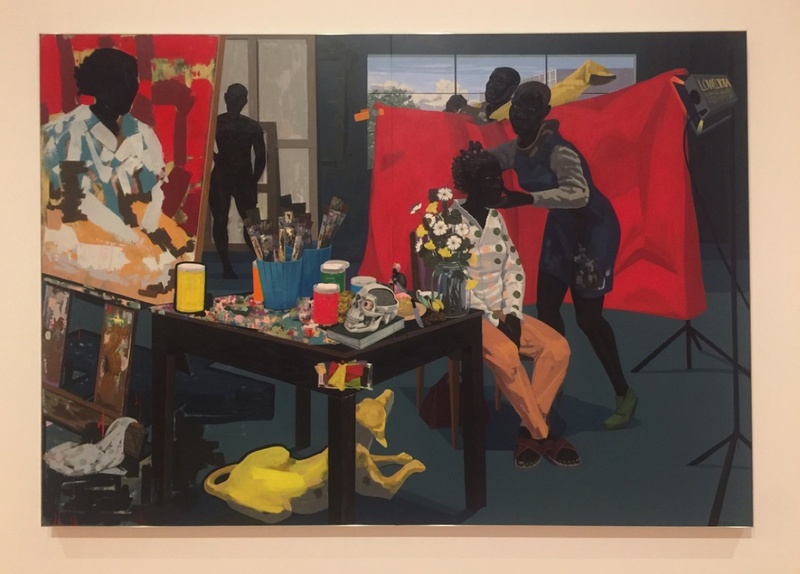 When I stepped out of the museum last Friday, I found myself in the midst of another dramatic scene, this one not staged by Kerry James Marshall. There were hundreds of protestors marching by the museum and carrying banners condemning the construction of the controversial Dakota Access Pipeline in North Dakota. Some of the marchers were also distributing flyers denouncing the policies of the Trump administration. 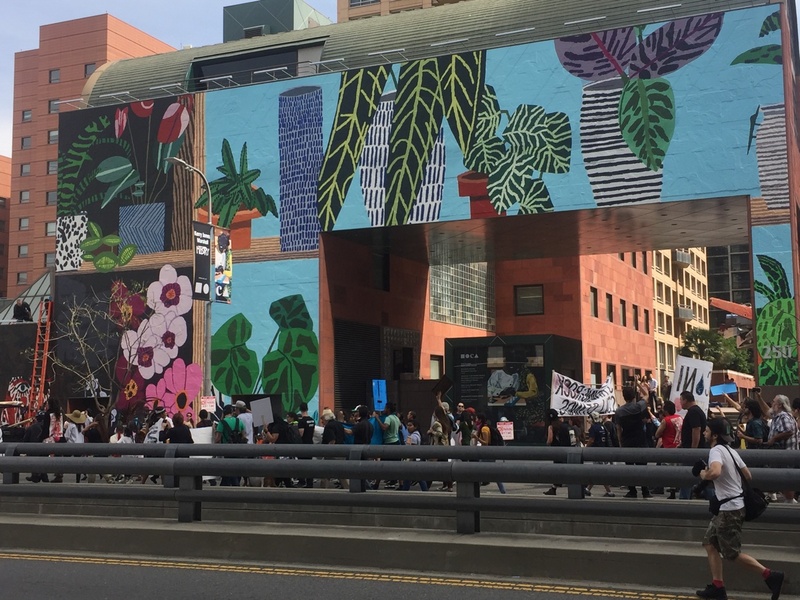 It was rather difficult at this particular moment to separate art from politics, especially considering that the entire façade of the MOCA building on Grand Avenue is covered by a gigantic reproduction of a colorful still life by LA artist Jonas Wood. 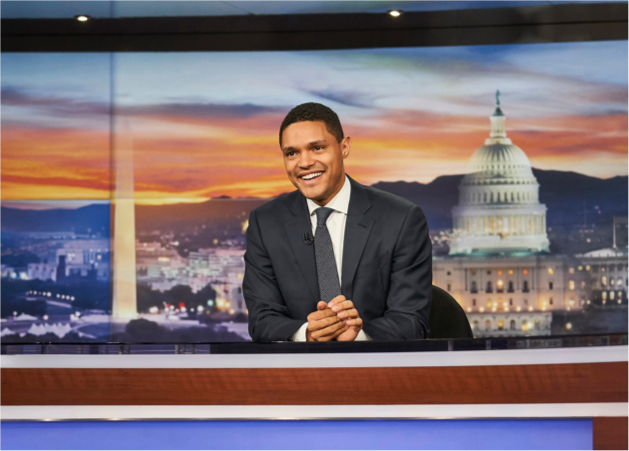 Theater, art, and politics: one cannot imagine a more intoxicating mixture. All photos are by Edward Goldman unless otherwise indicated.